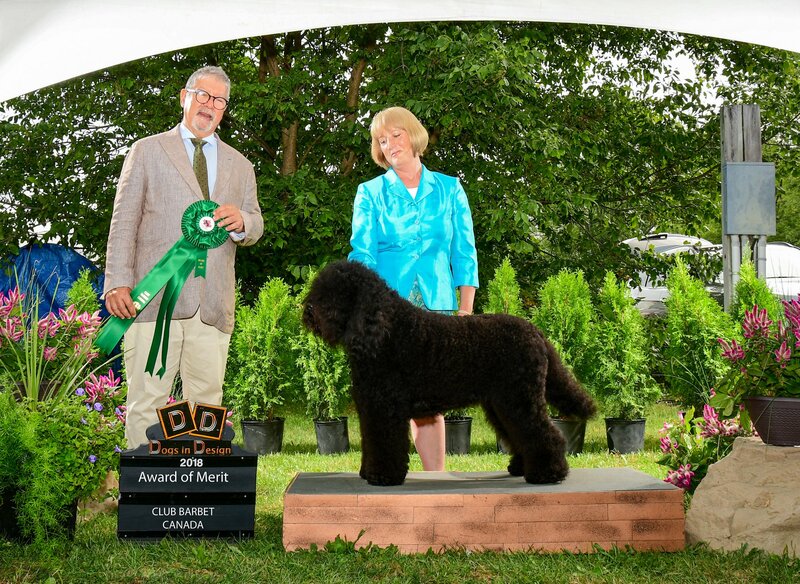 Pictured at seven months, new Canadian Champion, Best Puppy in Group & Group 3. 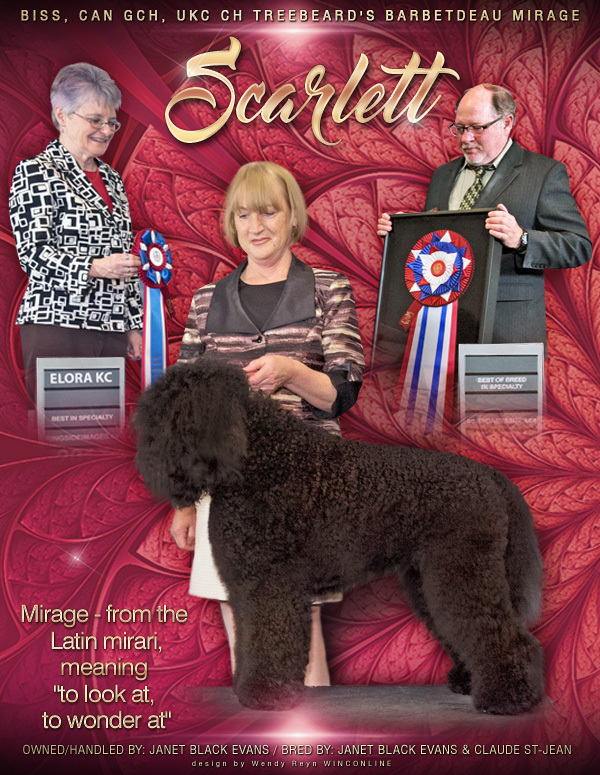 Picture from Best of Breed in Barbet Specialty & Best of Breed in Retriever Specialty. 14 months old. Award of Merit - Barbet National Specialty. 22 months old. Scarlett is a fourth generation girl under our roof. Her Great Grandfather Darwin, Great Grandmother August, Grandmother Hazel, Mom Julia, and Uncle Jack have all set the bar high for this girl. Well she rose to the challenge from her first time in the ring and never looked back. 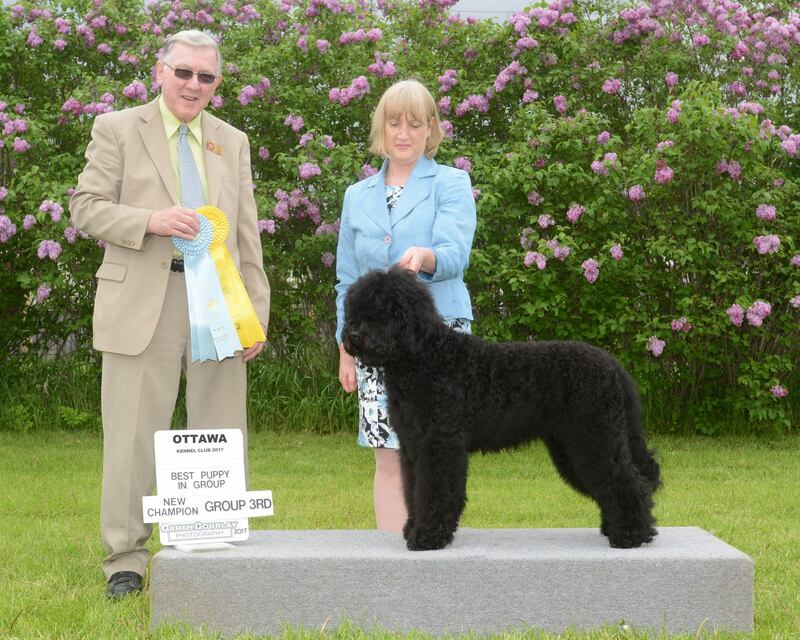 She achieved her Canadian Championship in 3 shows at seven months of age, and in limited showing her Grand Championship. At fourteen months she was awarded Best of Breed in two specialties. We are excited for a planned breeding with this exceptional girl in 2019, and can’t wait to meet the puppies from her first litter and the fifth generation to our household.